Hawaiki Submarine Cable LP, headquartered in Auckland, New Zealand, owns and operates the Hawaiki submarine cable system (Hawaiki). 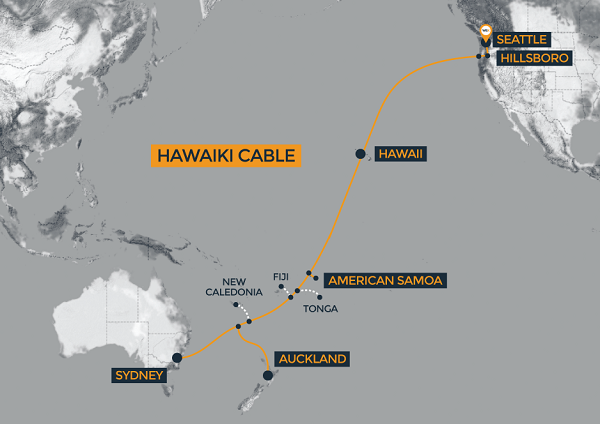 Hawaiki is the first and only carrier-neutral submarine cable linking Australia, New Zealand, Hawaii and Oregon, on the U.S. west coast. One of the leading data center and colocation facilities in the world, the Westin Building Exchange (WBX) provides neutral connectivity points to Asian, Canadian, European, and American network service providers, carriers, and ISPs, in addition to access to the Seattle Internet Exchange (SIX) and the Pacific Northwest Gigapop (PNWGP). WBX offers direct connection options to public cloud providers and private cloud services via its CloudWest™ solution as well as remote access and peering to the SIX through its Remote Connect™ service option.